Through our partnerships with leading environmental organisations we continue to find new ways to manage environmental challenges and improve the way we develop our projects. 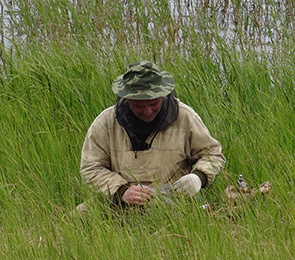 In 2012, Shell worked with Wetlands International on ecosystem baseline studies of the Timan-Pechora region of northern Russia, where Shell is planning a new exploration project. Shell was one of several companies and organisations that commissioned an independent study through IUCN on the relationship between extractive industries and natural World Heritage sites. The study report proposes practical ways of strengthening the role of the World Heritage Convention in safeguarding these special areas. Our partnership with Earthwatch enables Shell employees to work with scientists on research projects around the world. This includes our support for its research and learning programme in the rainforests of the Sabah region of Borneo, Malaysia. Our employees are working with scientists to understand the effects of logging and changes in land use, and the resilience of these rainforests to the potential effects of climate change. With The Nature Conservancy we are working to find ways to use artificially engineered oyster reefs as breakwaters to reduce coastal erosion in Louisiana, USA. This approach can also protect pipelines in the area.